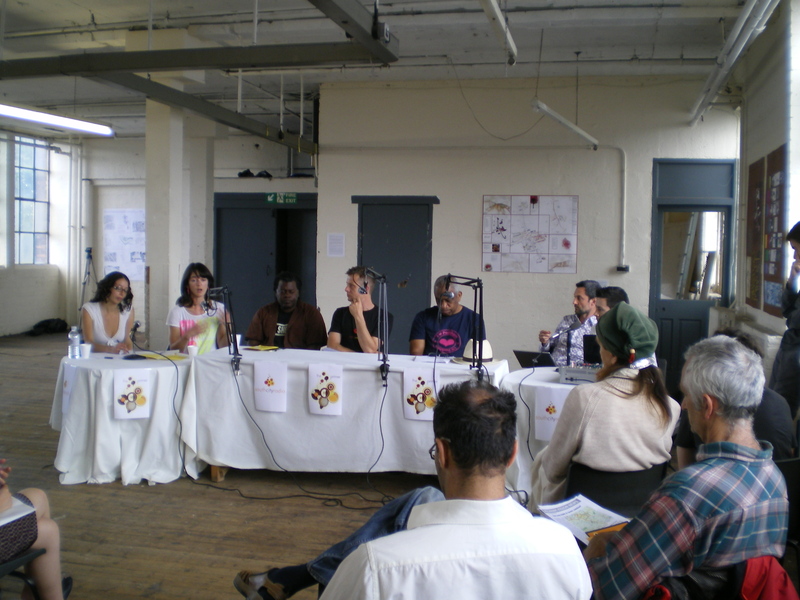 Saturday 19th July saw the first ever South City Radio broadcast from the Bussey Building. 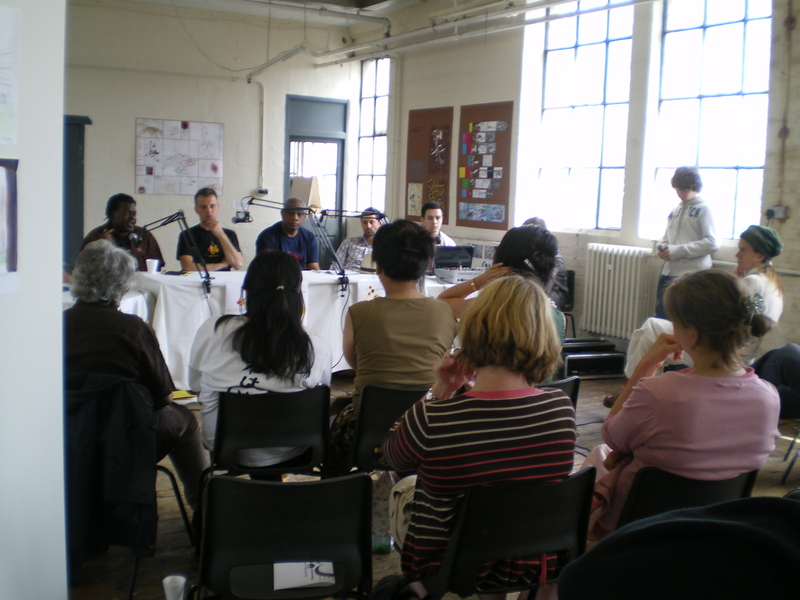 The broadcast programme, with a panel and a participating public audience had a lively debate on Peckham’s contribution to London’s cultural life, and the natural organic growth of the cultural life in that part of the town centre in and around the Bussey building. The event took place on the third floor in the international exhibition featuring potential alternative architectural visions of ‘Future Peckham’, in particular for the central Rye Lane area of Peckham town centre. The exhibitors were from Cottbus College Berlin, Jeffrey Gale Eco Architecture, and Peckham Vision. On the first floor was an exhibition of work from leading Peckham based artists, painters and photographers. Both exhibitions were curated by Alice White.